Shermlindcastle asked the Answer Line forum why his PC occasionally slows down to a crawl. There's nothing pretty about software overburdening your CPU and slowing everything down. And finding and fixing the cause isn't always an easy task. These suggestions will hopefully help. The first thing to do is check for an infection. Malware isn't the most likely cause, but it's the most potentially dangerous, and is relatively easy to identify and fix. Don't trust your regular, always-on antivirus program this time. If your PC is infected, that program has already failed and is probably compromised. Try the free version of either SUPERAntiSpyware or Malwarebytes' Anti-Malware. Better yet, try both. corrupted, and a scan of that should be your next step. In fact, such a scan solved Shermlindcastle's problem. CCleaner (another excellent, free program) found about 200 Java errors. Uninstalling and reinstalling Java fixed the problem. But if you're not so lucky, you'll have to find the culprit on your own. Start searching your memory (your brain's memory, not your PC's). When did the problem start? What did you do to your PC just before that? Did you install anything new? Allow Windows or an application to do a major upgrade? Also, note what programs are running, and what peripherals you're using, when it happens. Keep a journal--on paper, so you don't have to type an entry into it when Windows is moving like an exhausted turtle. Another idea, suggested by forum moderator Scott Maxwell: Keep an eye on your processes: When things are fine, right-click the taskbar and select Start Task Manager. Click the Processes tab, then click the CPU column heading once or twice to put the most demanding processes on the top. Keep the Task Manager running at all times. 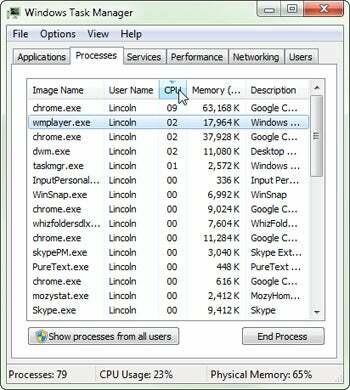 When your PC slows down, check the Task Manager window to see what's at the top of the list. When you've identified the culprit, ask yourself how badly you need that program. If you need it, see if there's an update or a bug fix, and if there isn't, complain to the manufacturer. 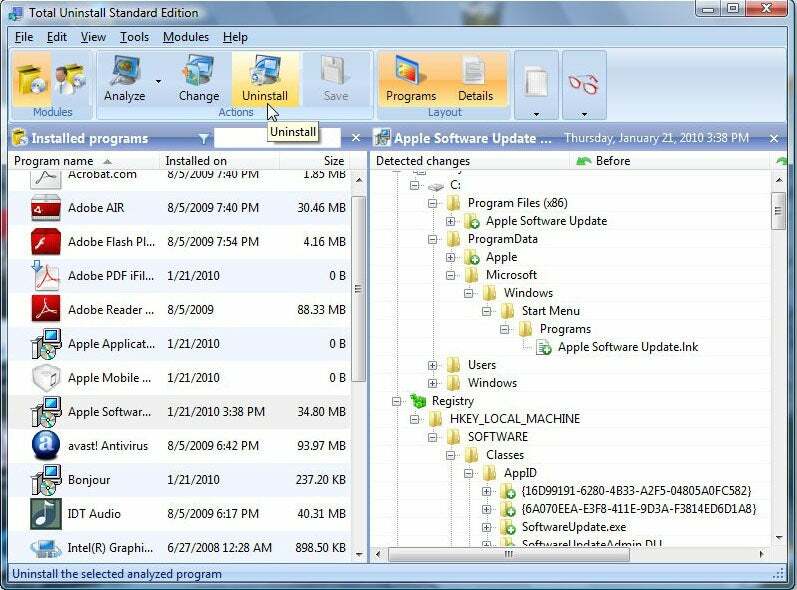 uninstallers are often horribly inadequate, removing a program's functionality while leaving behind the problems. Instead, use the free, portable version of Revo Uninstaller or the $30 version of Total Uninstall. Why consider a $30 program over a free one? The free version of Revo can't handle 64-bit applications (not an issue if it's not a 64-bit PC), and Total Uninstall does a better job in situations where an uninstall requires a reboot.